Photo courtesy of NYC Bar Association. Who says being a lawyer is always boring? 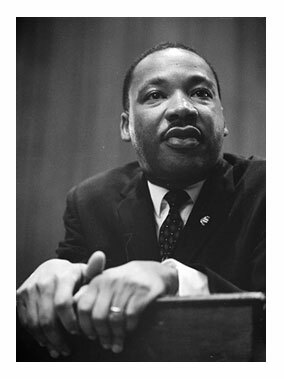 On April 21, 1965, the New York City Bar Association main meeting hall in midtown Manhattan was jam-packed with lawyers waiting to hear from Martin Luther King, Jr. More than 500 were in attendance, and another 3,000 were turned away when the civil rights leader made his first visit to New York City since the legendary march on Selma, Alabama. The City Bar, first organized in 1870 in response to the judicial corruption of Tammany Hall, has always been more liberal than the American Bar Association, which was still murky on civil rights legislation a year after LBJ’s passage of the Civil Rights Act. In fact, King notes in his remarks that this is his first address to any Bar association. The Bar’s website includes a fascinating question and answer with King after the speech: follow this pdf to page 19. To learn more about MLK’s most important moments in New York City, check out this post from MLK Day.